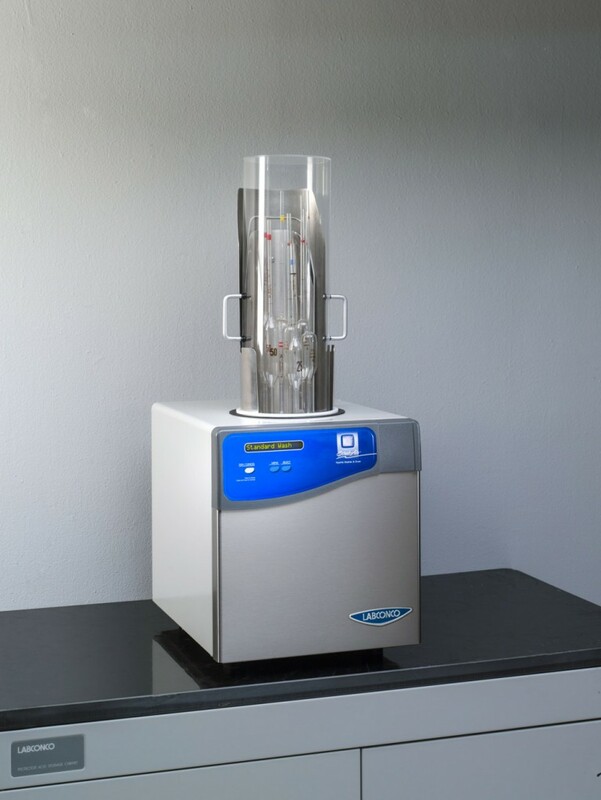 Compared to traditional siphoning washing, rinsing and oven drying, the ScrubAir consumes less water, time and money, requiring as little as 3 1/4 hours to wash, rinse and dry up to 60 pipettes, compared to 23 hours or more with the traditional method. 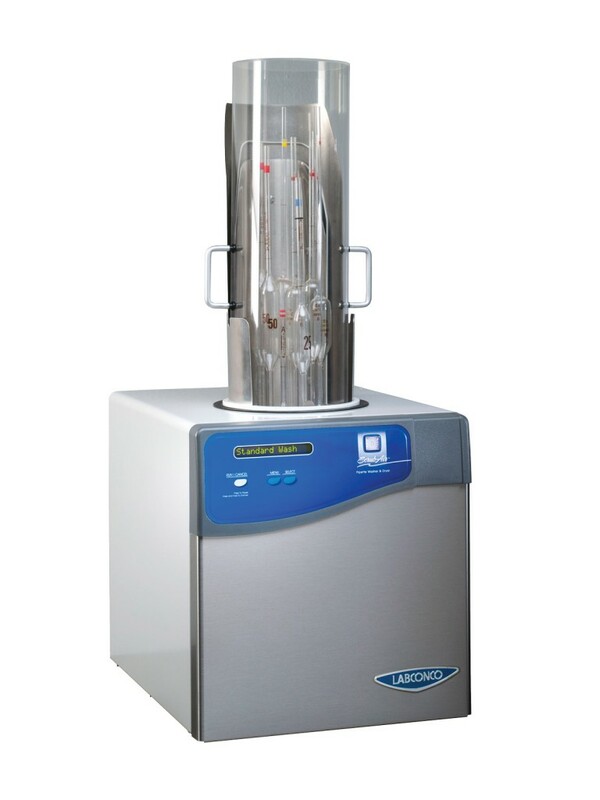 Eco-friendly, the ScrubAir Standard Wash Cycle uses only 12.5 L of tap or pure water, compared to 600 L used with a siphoning method. Three cycle programs are factory-set but may be user-modified. Start time may be delayed up to 8 hours. The LCD display shows both the cycle segment and total time remaining. 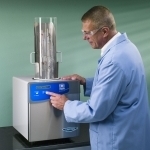 The ScrubAir Pipette Washer/Dryer uses water, detergent and compressed air to wash, rinse and dry volumetric pipettes. 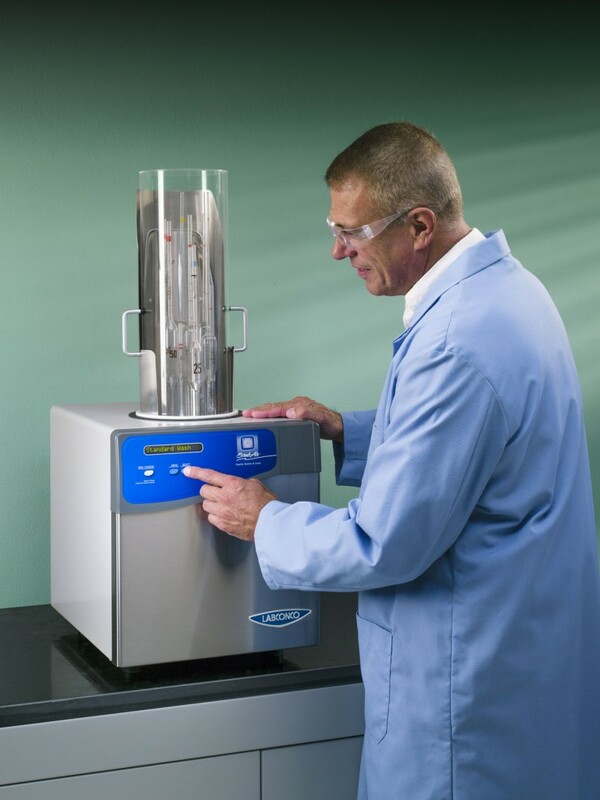 Water and detergent are directly injected into the pipettes, then compressed air is introduced into the water line producing a percolating action that scrubs the interior walls. The water is then propelled out the top of the pipettes, washing the exterior of the pipettes as it cascades down. 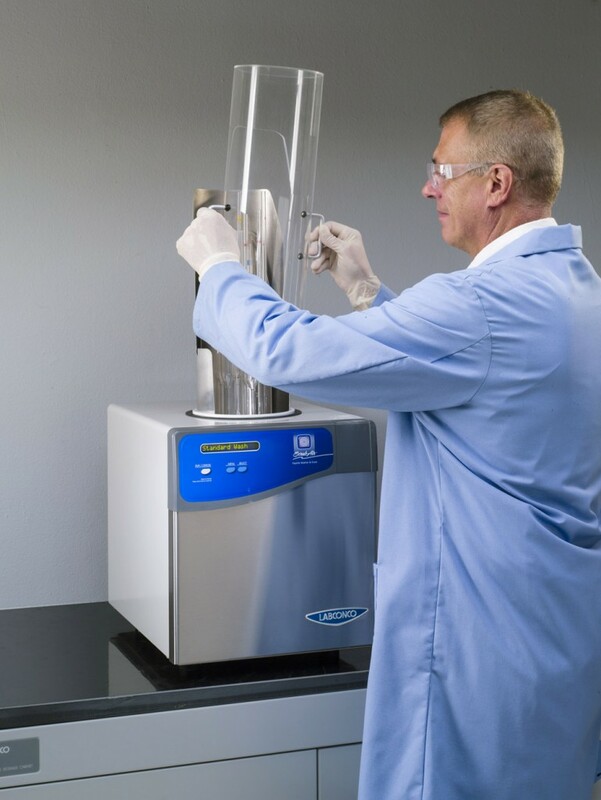 After washing and rinsing, the ScrubAir dries the pipettes in two to eight hours. No separate oven is required. 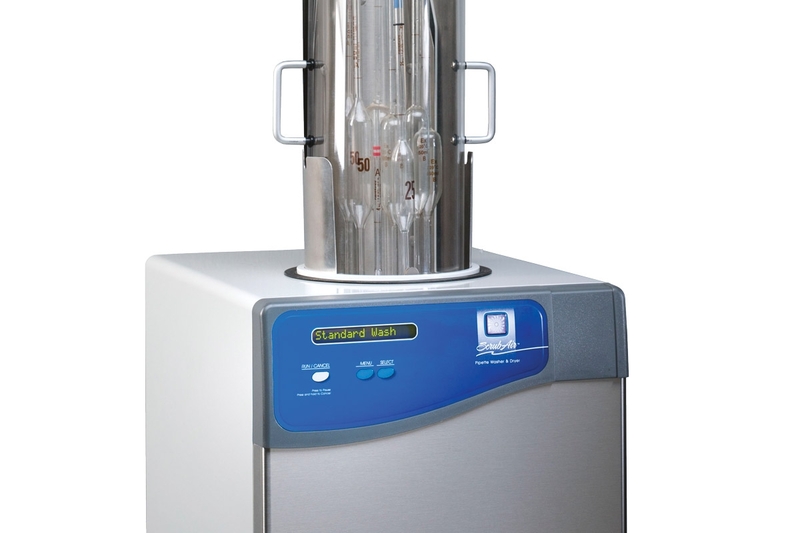 This automatic washer/dryer can accommodate pipettes ranging in size from 0.135" (3.4 mm) stem diameter and 7.5" long up to 0.34" (8.6 mm) stem diameter and 25" (635 mm) long. 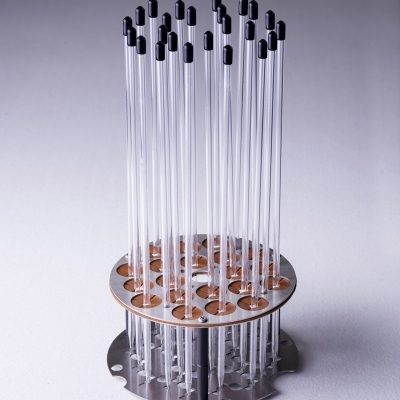 Depending on the bulb and stem diameters, up to 60 small or 12 large pipettes may be washed at one time. 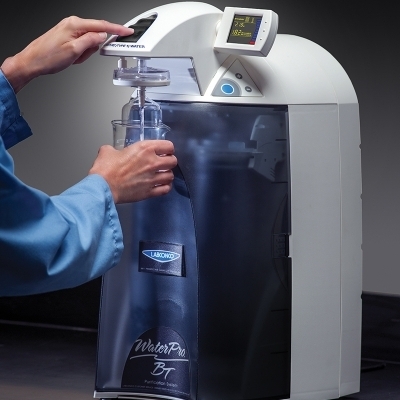 Heated models also include a built-in 750 watt heating element, activated during the wash, rinse and dry cycles, and a pure water inlet to select up to 10 pure water rinses. 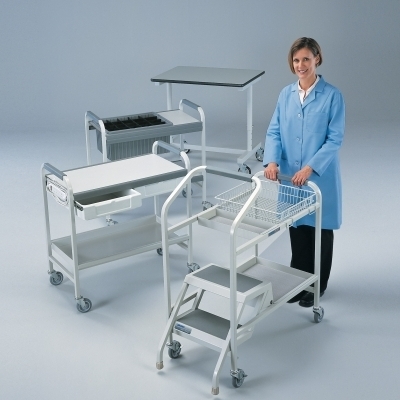 All models include brushed Type 304 stainless steel and powder-coated steel exterior, Type 304 stainless steel pipette holder, Type 304 stainless steel back splash, clear acrylic cover, feedwater inlet/drain hose with quick connect hose coupling and 2 aerator adapters for connection to standard laboratory faucets, rear-mounted polyethylene tube for attachment to regulated air source or other suitable inert gas, and 1/8" ounce dispense pump included for attachment to liquid detergent container (Detergent sold separately). Models with built-in heater also include rear-mounted polyethylene tube for attachment to pure water source. 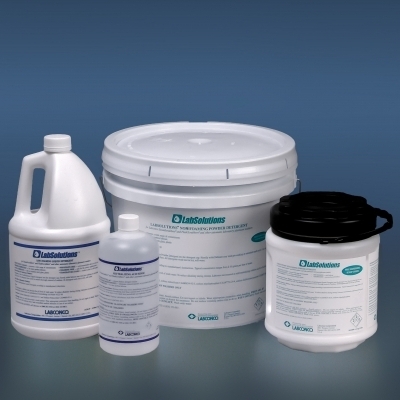 All models require tap/pure feedwater with 3/8" OD (minimum) water line, regulated compressed air with 3/8" OD air line, drain plumbing 1.25" (3.2 cm) ID or larger, and liquid detergent (LabSolutions Liquid Detergent recommended). 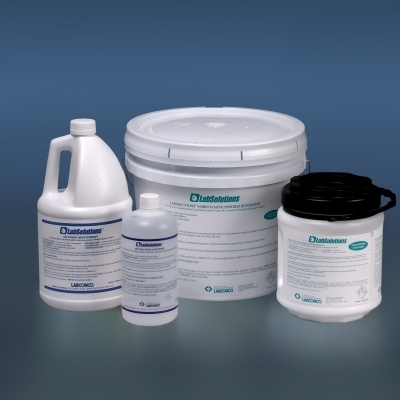 See brochure for water temperature, pressure, and airflow pressure requirements.